Wonderful,thanks for these pictures Zimm! The looks on those kids faces say it all. Great update and photos. GO ILLOZ! 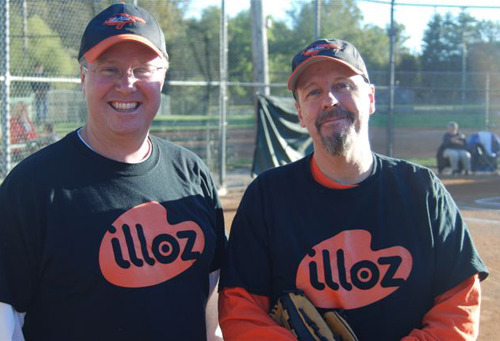 Dig the orange and black uniforms, way to go Team Illoz! Hey Zimm, I hope your birds did better than our birds! Maybe you should have gone with Yankees blue, great game last night. 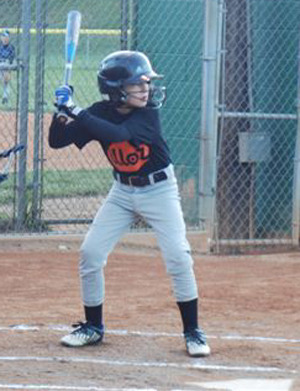 I coached my middle son in t-ball all the way up to 9-10, t-ball fun 9-10 not so much. 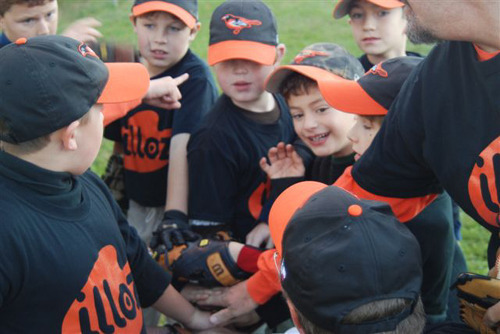 I'm looking forward to coaching my youngest in t-ball next spring. BTW-Your fields look really nice, ours are ragged. I love it! Yes, the uniforms look terrific. Grab a knee... Pile hands..... 1....2......3....Go Illooooz!!!!! Go, team..! Which one answers to "Leo Espinosa"? Do they know what illoz is? Do they ask? Or do they just have fun? I hope the latter. Way to go Illoz! Nice going, Zimm. 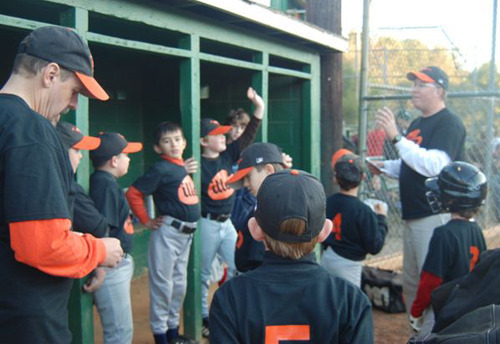 Yogi Berra said, "Little League Baseball is great-it keeps the parents off the streets". You are doing a good thing ZImm! Second out of 13? That's great. Cool logo, too. 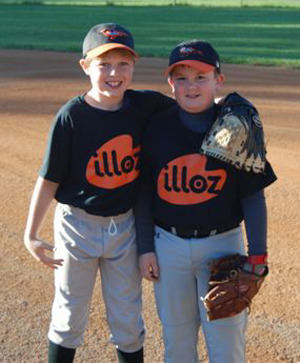 The Mets should have called a few of these kids up this past season. Good job, that is great. Any future artists in there?. Nice uniforms!.